Show off your creative flair! These gorgeous domes are the perfect finishing touch to your Flexo creations. They give a lovely tactile feeling to any design, and allow you full personalisation and customisation. 500 domes per pack, in 12 bright and neutral colours. 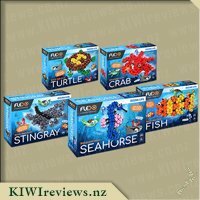 We were very lucky with our review parcel and we got the stingray from the ocean life series and when I saw the domes I wanted to know more about them, what are they for and why? They seemed very different to anything I had seen before once I worked out they were the decorating part of the flexo I asked to try these aswell. There arrived in their own box and 12 colours it said and 500 domes. That was a lot I was worried where I was going to put them all but I had a flexo storage container so in they went. 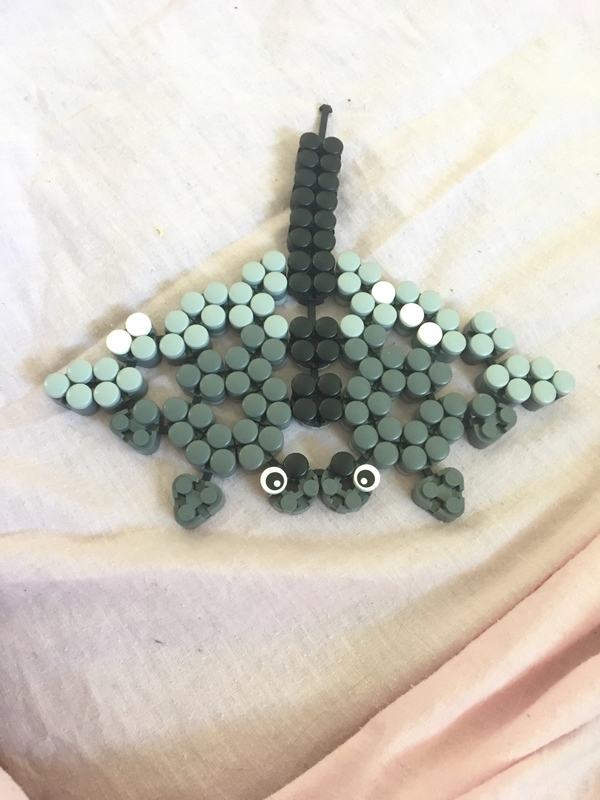 Now because my children age 9 and 10 made the stingray together they were determine they were going to only decorate their own side and the other wasnt allowed to touch the others side (another reason we need more of these). The domes are a lovely bright colour and I was very impressed with out smooth they were. The kids were fast to work out how to use them and they knew what they wanted so one by one they did their side. My 10 year old girl was first and you could see she was planning what she wanted which was really neat that the domes allow this creativity with so many colours and so many domes, she chose to go with each line a different colour. Whereas my 9 year old boy was a grab the first dome and stick it on and carry on. It does bring out a interesting pattern when two children have different ways to do one stingray. I love the domes as it brings out some colour for the stingray and will be awesome when we get more flexos, might need more domes. The building of the Flexo Ocean Life Kit -Turtle was so much fun and then there was more fun to be had by decorating it with Flexo Decorate-And-Finish Domes. Master 7 had some help putting together the turtle and was delighted to be able to decorate it with the coloured domes that also arrived with the set. He used his Flexo small heavy duty plastic storage bin to separate the domes into colours and then made his already bright and colourful turtle shine with colours of blue, yellow, pink , orange and red. The domes were easy to apply to the turtle and easy to remove when he changed his mind on his designs. I liked that there were so many options for colours and the domes were easy to use for both little and bigger fingers. I thought it would be ideal if the domes came in a bag that could be resealed and a smaller box as the box had an insert that pushed the domes to the front and left a big area at the back for the tool - this would reduce packaging for the company and the consumer if the box was smaller. We were fortunate to have the Flexo storage bin to store the domes in, but if they had their own little re-sealable bag they would be able to travel without the need of a plastic box. It would be nice if the pieces were able to be built on one on top of each other to make towers and create levels of colour. 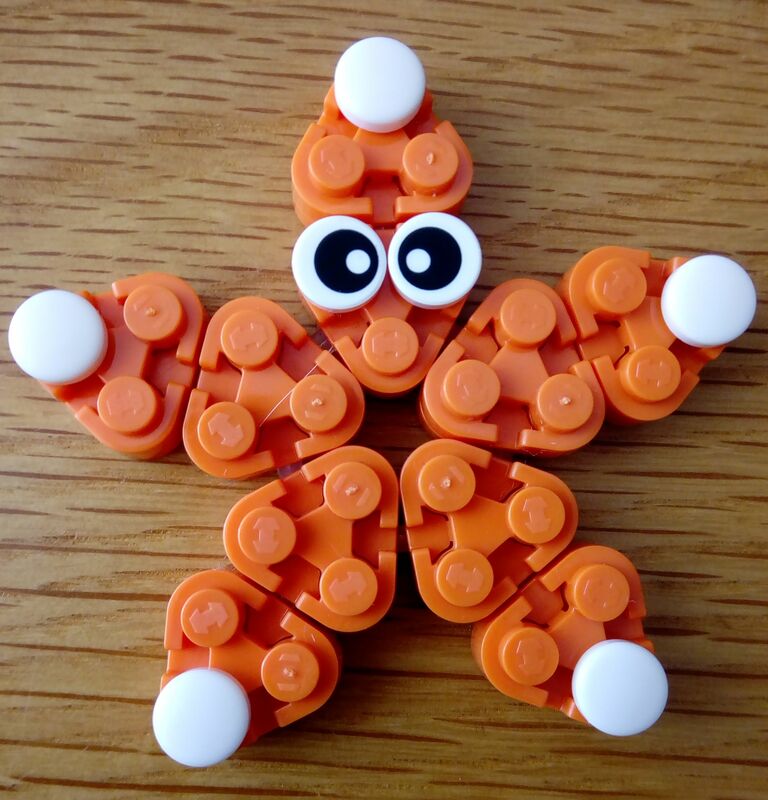 With the option of being compatible with other building brick brands it allows the children to decorate other creations that their minds put together. We loved the colours, they are bright and sharp and certainly draw an eye with the yellow/orange/red&apos;s that get used a lot in the boys&apos; creations. The cost of a box at $9.95 is acceptable and if I hear the dreaded sound of one going up the vacuum I would not be too concerned as there are 499 more around to decorate with. I can see how Flexo is building great sets of products for children to learn from and be creative with that are compatible with other products so a family can mix and match and not have to only purchase one brand. 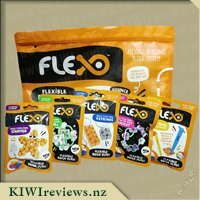 Well done Flexo on your products and ensuring they are designed and manufactured in New Zealand. We love to support companies that are in New Zealand. I simply have to state that I love the Flexo Domes. 12 wonderful colours made finishing our little crab friend from the Ocean Life kit even more exciting by being able to add colour to it. The domes are very smooth, but weren&apos;t slippery to add, and very easy to apply once you figured out how much pressure was needed (Miss 7 ran into some problems at the start when she thought she might break the crab). All 500 little domes fitted very nicely into the added storage level of the small storage container, also from Flexo. So the crab and domes can all stay together inside the container without the need to find extra containers and without the hassle of wondering where to store them so they don&apos;t get lost! Because when you build with small bits, it&apos;s normally a given. However, a week in with playing with it, and no bits lost so far... yus!! Very very pleasantly pleased that the domes also fitted with the Lego that we have... as Miss 7 has a lot!! And now all her wonderful, weird and wacky creations can show an extra dimension and really make things pop with colour. We used the domes first to play a game of tic-tac-toe and they clicked on so easily. And to get them off was also easy. I have long nails so just flicked them off, but Miss 7 used the tool it came with to get them off. They did fly a bit when she did it, but quickly gathered them and put them back into the container. At just under $10 for 500 domes, the price is very reasonable and definitely competitive with other brands for added extras to add to building kits. This, alongside a building kit, would make such an awesome birthday present for friends. No need to gift junky presents, this is something I can see many kids loving! My son had just finished building the stingray kit and his first comment was that it was a bit flat so I told him to go mad on decorating it with the domes, he had a look and turned them over and said he was impressed with the shape. He then went along using all the grey on the stingray so his comment was it would be great if there were some extra ones so he could finish it but then he thought about it and decided the white ones made a good contrast and that it made it look like the sun was shining on the stingray. I left him alone to decorate his creation without interference from me and he had to remove a few to change the design, I asked and he said it was super easy to remove the domes and he was glad that the domes didn&apos;t stop the design from being flexible so I guess I&apos;m going to be ordering a few more domes as he made it and then said it was perfect and he didn&apos;t want to break it up. I had a look at the domes and I was happy to find that they were smooth and small so if I happen to step on any during the night my foot wouldn&apos;t get hurt and that there are plenty of colours for my other two to have a go once we have some more of this range. When I saw the Flexos pop up to review I honestly had no idea what they were! After reading their description, and looking at the other items on offer, I saw these wee little domes, and thought - what a blimmin&apos; brilliant idea, so I requested these as well. 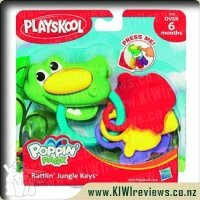 When I opened up my KIWIreviews package I was delighted to see we had received a variety of Flexo items - including these! Looking at the box there were plenty in there, and being that they also claim to fit other type products, I had a multitude of ideas. I gave these to the 3 kids to investigate first of all, and from the squeals of delight when they opened the packet I had a feeling these were going to be fought over - a sure sign of a good thing, and of a good toy! The pack itself contains 500 domes in 12 colours, and whilst I did not ACTUALLY count all 500 - there is definitely enough there to last a while!! The colours are a good variety and also comes with a handy dandy little tool to remove them - yay for forward-thinking and knowing kids change their minds every 5 minutes! The domes themselves add a really nice "finished" look to the creation - and with the colour variety you actually can add a lot of individuality to things that you make, such as Miss 7 did, making her crab have a pink and purple top! I have a nearly 10, a 7 and a 5.5 year old - so seeing the age range of 6 and over I put it to the test. Master 5.5 did manage to use them, with minimal help so the age range is pretty good I think. I think if the child was under 4 these should be put out of reach as they are definitely small enough to swallow. I like that the Flexos are compatible to build onto other brands - meaning multiple uses. I have already told people about Flexos and encouraged them for such a good price to get the domes even by themselves. I am definitely going to be investing in more Flexos - in fact Miss nearly 10 has asked for them for her upcoming birthday! These are an excellent addition to any of the flexo sets to give your builds more flair and personality as the dome set comes with 500 domes in 12 different colours. We also received the crab ocean life kit in our package and after it had been built the kids decided to change the domes on the crab to all sorts of colours to which the now call the crab disco party crab. These are also good for other brand building blocks such as lego as these domes are compatible with those as well. The 12 colours that it contained were Blue, Black, Dark Grey, Light Grey, White, Yellow, Red, Orange, Brown, Tan, Pink and Green. With all these style building blocks there is one negative and that is that the pieces are so small they are easy to lose and with the amount of domes as well it is easy for them to become messy so It pays to have a storage container to keep all the parts in and try to have the kids play in one area so they don&apos;t get moved around everywhere. Everyone knows that one of Lego&apos;s biggest flaws is that they are so sore to stand on due to the sharp-cornered bricks and numerous shapes, well flexo has semi-solved that issue as the domes themselves are rounded smooth and are naturally domed so if you were to stand on them it would be a lot more user-friendly to the bottom of your feet. The cost of this flexo dome set is very reasonable and I deem it as a must-have if you have any of the other flexo products. My kids have become attached to their flexo builds and I will be looking at getting more in the future to build on their sets. We were all excited to open up our box of Flexo domes, especially the 5yo as she didn&apos;t really help with building the Flexo stingray we also received, so we designated her to be in charge of the domes. Once we opened up the box you could see that there were a lot of them, the box does say 500 but it looks like a tiny amount, there is definitely enough though! Since the 5yo was in charge she delegated the colours out and created a pattern which my 7yo had to follow along with. It added a lot of colour to the stingray and it looked really cool. The colours are nice and bright and the domes were really smooth and felt nice. The awesome thing is since there&apos;s so many domes and colours there&apos;s so many different ways to decorate your Flexo creations. Our stingray has now been redecorated a few times. It helped that we were also given the small heavy-duty plastic storage container which is perfect for storing the domes, if you don&apos;t have one of these a dedicated container or ziplock bag would be a good idea. The price of a box is $9.95 which I feel is a good price for the amount of domes you get. 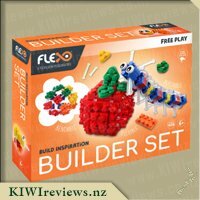 Also these are great if you have younger family members that are too young to build the Flexo products but they can still have fun decorating their older sibling creations. As cool as my Flexo Turtle is it still looked like it was made by building blocks and you could see all of the joins but when I add these to it, it completely seals it and makes it look more life like as it takes away the bumps and makes it nice and smooth. The domes come in various colours which is great and they have a very nice even feel to them and they are shinny and attract the sun to cover that nice light colour. As with any building block set there is the issue of running out of the colour that you require as with my turtle. Brown quickly ran out so I decided to use black in the middle and around the inner edge and I only just had enough counters. The other problem I found if the dome is going into a space which is surrounded by other blocks it is really hard to press into that area and I found on more than one occasion that the dome went flying thru the air. Removing the dome from the block is easy as just put nail under it until I was reminded about the Tendon tool included with the kit so then I started using that. But with a bit of trial and error I now have an awesome looking turtle which has a completely new element to it by just using these domes. 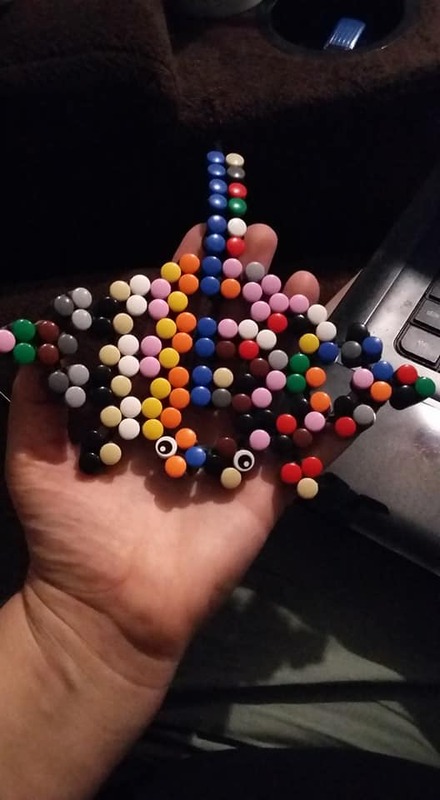 While I was jazzing up my turtle my daughter was doing the StarFish and making it more like a Rainbow, she was a tad upset there was no purple but did like the pink and the red. I wouldn&apos;t risk using these though if you have young babies unless you know for sure that none have been dropped. I am sure I dropped a black one but for the life of me I can not find it in my brown fluffy rug so unless you are using in an area that you know is safe I would be very hesitant around small children. 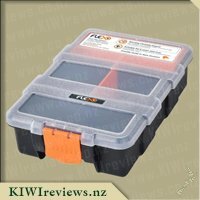 The price is actually very reasonable when you consider that you get 500 domes and also Multi Tool which we have all learnt is an amazing thing to have. Also it has a wide range of colours which will come in handy I am sure. I think if you are going to have any Flexo in the house than this is the accessory that you are going to need to have also. 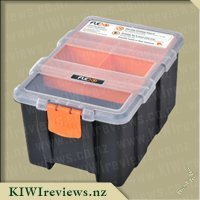 When I first got this, I wasn&apos;t sure what use a box full of five hundred small domes would be, but it did end up being very handy for my kids to use on their creations. The box doesn&apos;t look like much but once you open it up and these domes go everywhere, it is easy to tell there is a good quantity of domes. It also comes with a multi tool, and as we&apos;ve found out, having more than one is very handy. The shape of these means using the multi tool makes it nice and easy to take them off, no worrying about damaging your nails or the kids needing to use teeth to help them pull things apart. There is a nice variety of colours in this pack, something to suit everyone and no overload of any particular colours. These have a nice and smooth feel to them and a lovely sheen to them, they caught my youngests eyes and she was keen to use them. 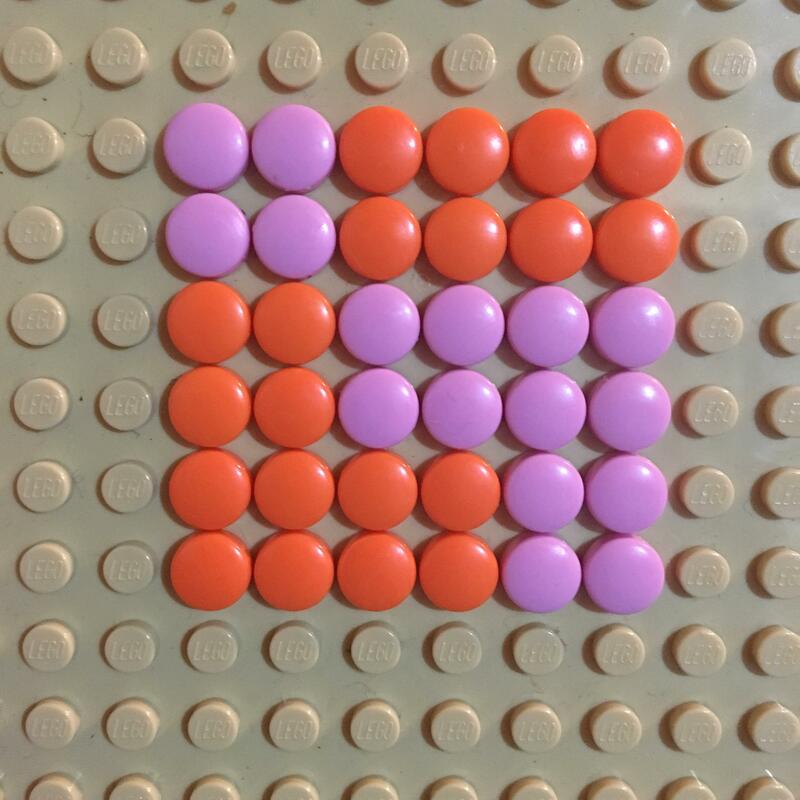 These pop nice and tidily on the blocks and none of them get in the way of any other part, so you don&apos;t need to worry about any problematic overlapping. 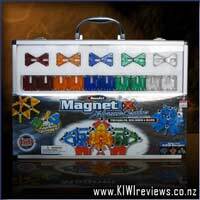 My kids really had a blast using these and adding them to their creations, this is well worth the buy if you&apos;re buying anything else in this range. 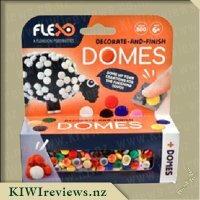 Domes, you can never have enough of them apparently and wow with this pack of 500 domes are you sure to not run out in a hurry. I would recommend having a container to put them in though unless you want to find them all over your house as they are small and can travel fast and you can find your self at least vacuuming up a few every time you vacuum. 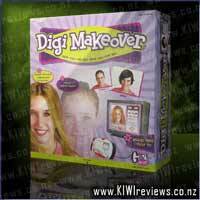 They are great though as an added add on for making different objects and bits and pieces. 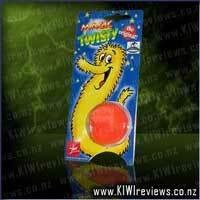 Lots and lots of different colours in the pack, and for the price it is great for the amount of added fun they bring. Be worth buying a set on top of what you have as my son says they are great and is always using them. When his cousin came over the pair just sat there playing away which was fabulous to see. 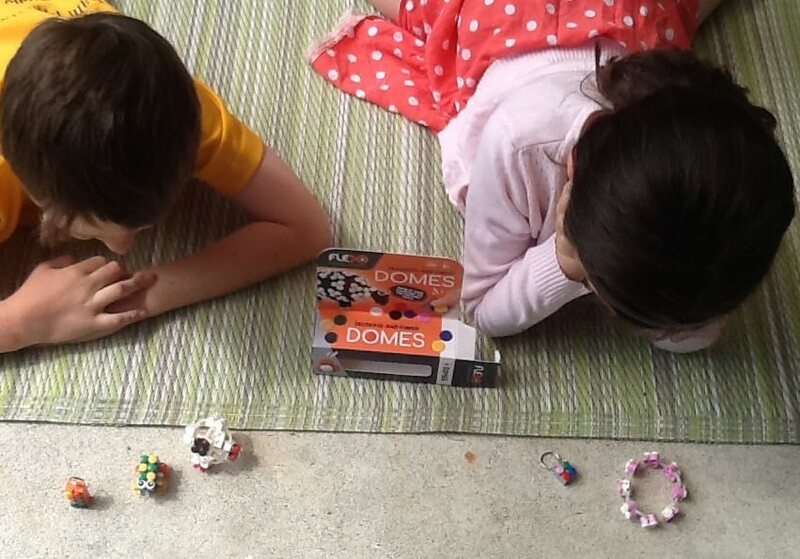 The extra domes creates more playing time and imagination with what can be made. Also the colour range makes for some funky animals and objects. I will also be recommended to friends to buy this extra pack of 500 domes when buying any of the sets to use them with as they do get used a lot and mixes things up a bit for the kids.For the price you could even buy two as they would get used and be good to keep one put aside to top them up once you may loose a few unless you got a good container to keep them in. If you are looking for a fun activity that will stimulate your child&apos;s mind (or even your own,) and let them express their imagination and creativity - look no further than Flexo products. Flexo products are designed and manufactured in New Zealand, and are compatible with the major brick brands. When I requested the Flexo Domes, I thought that my children would love to be able to style their creations how they wanted, our first missions were going to be a pair of keyrings, a space ball, and a bracelet. The packaging is very eye-catching and easy to distinguish as being from the Flexo brand, the orange is vibrant against the black of the packaging. The box shows several Flexo animals decorated with domes, and the box states that there are 500 pieces. Looking through the gap in the front of the box, you can see various different coloured domes, these include pink, orange, brown, blue, green and red to name some. We immediately poured the contents into our storage box so we wouldn&apos;t spill them and lose them. The domes are nice and smooth which made them easy to pick up and click on top of the bricks, removing them is also simple. These domes can also be added to creations using other bricks from other brands, my daughter was fascinated by this, needless to say her day was spent decorating with domes, and now we are nearly out of domes hehe. I love how this product can help the builder to customise the appearance of their creation with ease. This product is quite small in size and recommended for ages 6+, my 5 year old used these but was very careful while I supervised. 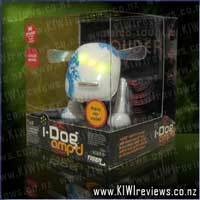 I think this product is wonderful and we will probably be purchasing more in the not too distant future, my daughter would love if Flexo could release some domes that are glittery, so she can make her creations magical. Flexo is definitely a hit in this house! The Flexo Box of Domes are a very useful addition to Flexo bricks and them being compatible with other brick sets is also a bonus. I would even go so far as to say they are a necessary part of the Flexo sets. 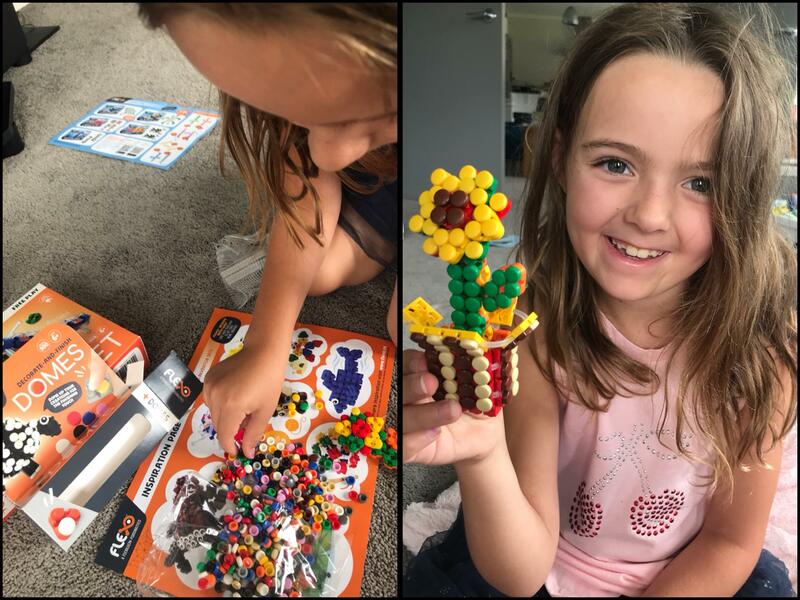 When using the Builder set to create a Potted Flower my daughter found that the instructions called for certain colours (they weren&apos;t required but she wanted to make it the same as the person on the video), unfortunately she didn&apos;t get enough colours in her set to do what she wanted so she settled for a multi coloured flower instead. Luckily for my daughter we received a box of domes and being over 500 domes in the box there were plenty of every colour and she managed to cover her flower and the pot in the colours that she wanted. This made for a very happy girl. My son loved finding the domes that had eyes and then went off to add eyes to his glow in the dark ball. My favourite thing about the domes is that they have a nice soft, smooth finish so even though my children accidentally tipped the container upside down and the domes went everywhere, when I stood on them it wasn&apos;t painful and I could calmly pick up the piece and put it aside rather than a jagged piece of plastic that I&apos;m sure was really created to torture parents. On receiving the Flexo domes I was unsure what these little domes would be used for. There are 500 small domes in the pack in 12 colours. The colours are a good mix with your white and black to your pinks, blues and oranges. The colours of the domes are bright and good shades. The pack also comes with a multi-tool to help with install and removal. I decided to try these on my Flexo crab. After choosing the colour scheme I wanted to use I set off decorating. I was pleasantly surprised with these domes. They were easy to clip onto the Flexo blocks and just as easy to remove using the multi-tool when I changed my mind. They create a smooth finish to your creation which is much better that the rough brick finish. And with the smooth finish, more personality. I noticed that these are recommended for ages 6+. I think this is about right as miss 5 could put them together but did find it a little harder than Mr 7. Also with the size, I would only let miss 5 play with these with me as she still has a habit of using her teeth to remove bricks. The multi-tool was a little bit of a struggle for her. I love that the Flexo domes are compatible with other brands of building blocks. This means more personalised creations no matter the blocks created with. I would recommend these Flexo domes to anyone who loves building personalized creations. Would probably not buy them by themselves unless I was searching for them in particular but pairing them with another of the Flexo range I definitely would. At only $9.99 they are a great addition. 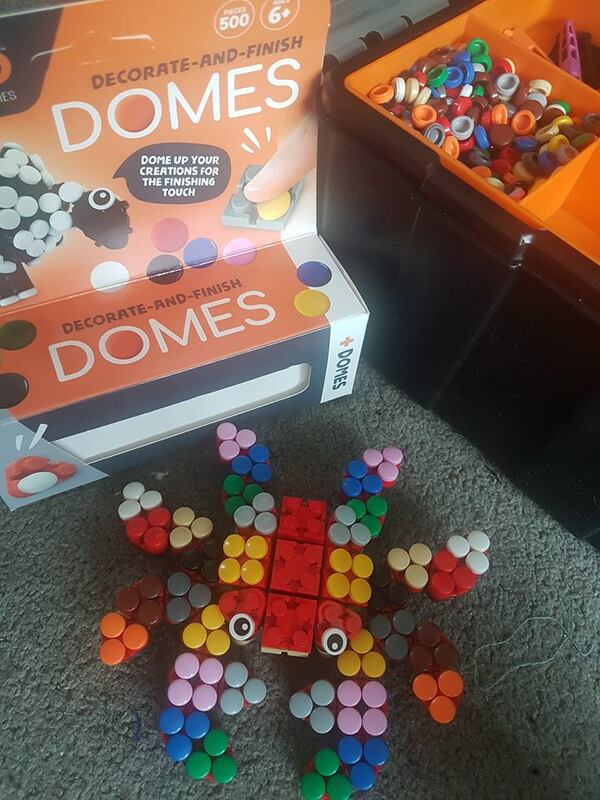 This box of domes was such a huge hit with my 6 year old Cai when he started playing with flexo. I think it would be one of his favourite pieces, he often can&apos;t wait to finish his original creations so he can start the decorating with the domes. Being a large packet with 500 domes and a wide range of colours he is able to add lots of colour to his builds and make designs. He has also now discovers that these are compatiable with his lego bricks so all his lego has also been getting a flexo dome makeover! The little domes fit snuggly over the top of the individual circle connection on flexo bricks and lego bricks too, once you have put them in place they can&apos;t just fall off easily which I love. Using the flexo multi tool is a real nail saver with these as they do fit secure and that handy little tool gets them off way easier than my fingers could. This is where that multi tool came so in handy because it is easy to remove the domes if you find you have put one in the wrong place or want to change a colour in your design. Cai is a creative and artistic boy so the domes provided lots of fun for him. Using a lego base plate he loved to use the domes to create pictures and geometric patterns, so I found it a great way to practice counting using the domes as counters on our lego number board. This was a lot of fun and something a bit different to do with our counting homework. Opening the box of domes was like opening a box of precious jewels! Luckily Miss Six had the forethought to tip them on to a tray because there were hundreds of them, spreading everywhere and catching the sun with their bright, shiny reflections. Miss Six was so overwhelmed that she did not make anything for the first few minutes; she was too busy arranging and rearranging them on the tray to make different patterns. Mr Nine had other ideas, however. He got several items he had made both with Flexo and with his old building bricks and started to decorate them. A robot was transformed into a knight, a toy car suddenly became a tank, and a keyring took on a spooky appearance as it acquired two sets of eyes! 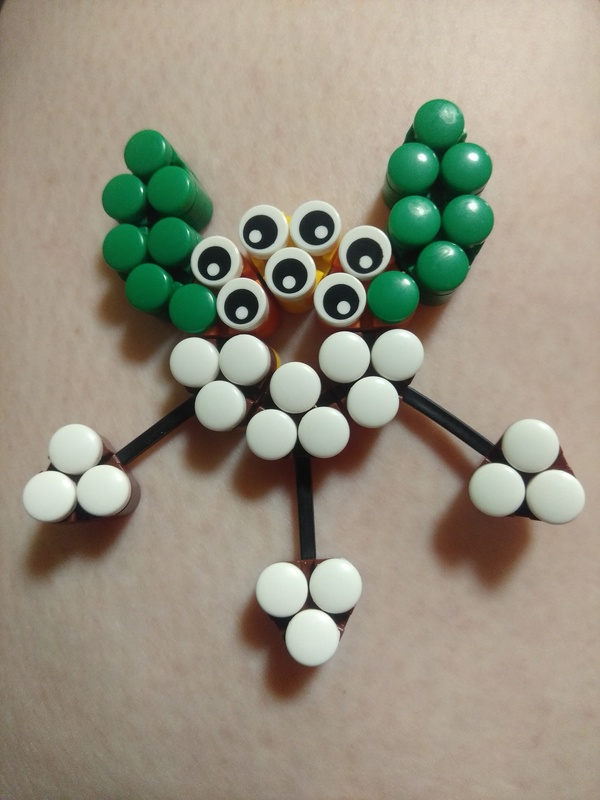 Next he adorned a frog he had made from parts in the Builder Set. It seemed he was going to use all 500 of them, but Miss Six suddenly noticed what he was doing and joined in. Very quickly, her Flexo bracelet was decorated with rainbow colours. Unlike her brother, she did not try to make patterns or go for special effects; she just piled on as many as she could and then stepped back to admire the result. She is nothing if not enthusiastic! And in their own way, both of them were having so much fun. It was wonderful to watch the different ways they used the domes, Mr Nine considering each move while Miss Six just went for broke. Their mother had announced that it was bedtime, and all the toys needed to be put away. This was quickly done and the children were sent off to brush teeth and get into their pyjamas. Everything was tidy and quiet; children were in bed and lights were out. Except... There was a light under Miss Six&apos; bedclothes! I crept in to see what was going on and lifted the duvet carefully. There was Miss Six sitting up underneath it, a torch propped up on her tummy, and a tray of domes being sorted through. She was not a bit repentant either; she explained that she was looking for another eye for the Flexo crab. I think we can safely say that this toy is a hit! The Flexo Domes come in an attractive box which contains 500 domes in 12 different colours. From cream to green to orange to pink, all the important colours were covered! Obviously they are not suitable for under 3 year old&apos;s and the pack says that they are suitable for 6 years and over. My 8 and 10 year old daughter&apos;s didn&apos;t struggle with these but smaller children might as they can be a bit fiddly removing them from blocks. My daughters loved using these domes to decorate various things they&apos;d made from a starfish to a ball to a bracelet. 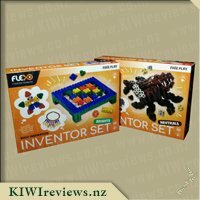 They really enjoyed adding these on to their creations and I would definitely recommend this for children who love playing with building bricks. I was also grateful that these are compatible with their LEGO stash so they will get lots of use! 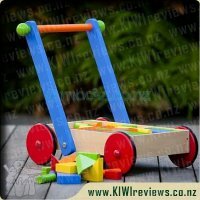 This classic wooden trolley is a must for any toddler. Not only will it help develop stability and taking those first steps, but the blocks will then provide years of building fun. Your child will enjoy stacking the colourful shapes to create imaginary towns and buildings. 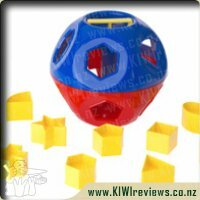 All kids will love the 34 brightly coloured shaped wooden blocks. Super sturdy and stylish, your wee one will love this!